International best-selling investigative author Daniel Estulin has received from his sources the 73-page Bilderberg Group meeting wrap-up for participants. The next phase of the economic decline will also be worse than the '30s, mostly because the US economy carries about $20 trillion of excess debt. Until that debt is eliminated, the idea of a healthy boom is a mirage. International best-selling investigative author Daniel Estulin has received from his sources the 73-page Bilderberg Group meeting wrap-up for participants. In the report no one is identified by name, only as an American or European, or by a description of the speaker's position, i.e. member of the IMF. There appears to be some disagreement about who was in attendance at this year's secretive conclave held at a 5-star resort in Greece. According to sources in Greece and the Bilderberg Netherlands "office," US Treasury Secretary Timothy Geithner and US General David Petraeus were at this year's gathering. Both men have denied this, according to a conversation held with a Washington, DC reporter, who stated that Mr. Geithner was attending a private function and General Petraeus was at Central Command. Using a purported participant list, a "smear" campaign has seemingly been launched against Estulin. On a French "left-wing" website (http://www.bellaciao.org/fr/), and then posted in English on a populist forum in the US (http://forum.prisonplanet.com), it is claimed that Estulin was a known participant in this year's conference. "Hardly," said Estulin, who laughed at the prospect, saying that the Group has tried many things to keep him from reporting on its activities, but had never asked him to attend. Estulin did his reporting this year from Spain, knowing from years of coverage that the location in Greece physically precluded any photographing of the participants. 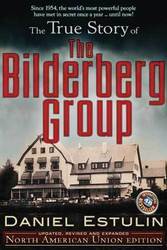 His book on the shadowy clique, ''The True Story of the Bilderberg Group'' broke through the barrier that the Group even existed with help from numerous photographs exposing the elite that were taken by Estulin from 600-800 meters. 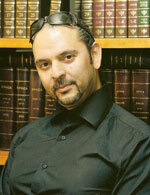 The book has been translated into 48 languages and sold millions of copies worldwide. Estulin's reportage of the annual meetings has led to many correct predictions of world events, including the timing of the 2003 Iraqi War, the rise and fall of oil prices, as well as the current economic calamity and housing mess. There have been many posts floating around the Internet claiming to be actual participant lists. Daniel has a copy of an official list, and has confirmed much of it through photo identification by staff at the hotel, a gentleman responsible for group bookings there, and the Bilderberg executive secretary in the Netherlands, who confirmed assisting Mr. Geithner with arrangements for the meeting. According to Estulin's reading of the report, it looks as if there are serious disagreements within the group. The hardliners are for dramatic decline and a severe, short-term depression, but there are those who think that things have gone too far and that the fallout from the global economic cataclysm cannot be accurately calculated if Henry Kissinger's model is chosen. Among them is Richard Holbrooke. What is unknown at this point: if Holbrooke's point of view is, in fact, Obama's. Estulin says that the consensus dealt a blow to those in the group who were hoping for economic revival, agreeing that the recession will be deeper, and the road to recovery longer and harder, than the happy talk coming from world leaders. The terms used were ''relatively slow and protracted.'' Estulin says pay attention to the press dailies: you will see quite a bit of these two terms in the weeks and months to come. Estulin notes that some of those who attended the annual conference will give another, more moderate view, stating that ''the economy requires a period of healing and that it will take time.'' While this helps create a dialectic in the press from two Bilderberg camps, both will pay heed to the idea of ''great uncertainty over the outlook.'' According to Estulin, over the next several months the Bilderbergers will purposely refuse to commit to any specifics, simply pointing out "that there exist big risks to a recovery still reeling from financial turmoil, making it very difficult to assess developments." Estulin reports that some leading European bankers faced with the specter of their own financial mortality are extremely concerned, calling this high wire act "unsustainable," and saying that US budget and trade deficits could result in the demise of the dollar. Recent fears about their own survival have not been quelled because, as one Bilderberg attendee pointed out, "the banks themselves don't know the answer to when (the bottom will be hit)." According to the group's report, however, all agreed that the level of capital needed for the American banks may be considerably higher than the US government suggested through their recent stress tests. Estulin says that someone from the IMF pointed out that its own study on historical recessions suggests that the US is only a third of the way through this current one; therefore economies expecting to recover with resurgence in demand from the US will have a long wait. As another individual pointed out, "Equity losses in 2008 were worse than those of 1929." This individual then added, "The next phase of the economic decline will also be worse than the '30s, mostly because the US economy carries about $20 trillion of excess debt. Until that debt is eliminated, the idea of a healthy boom is a mirage." Estulin reports that according to a World Bank representative at the meeting, government officials around the world have proposed more than sixty new trade restrictions since the beginning of the financial crisis, which some attendees found distressing, as governments, in a downward spiraling economy embrace protectionist policies to try and protect employment and generate internal economic activity. According to Estulin, for Bilderberg, the very structure of the nation state and the idea of the commonwealth represent the main obstacles to the creation of a neo-colonial world empire. Kris Millegan or Kent Goodman at publicity(at)trineday.net or 1.800.556.2012.